Do you have to wear an undershirt with your favorite work shirt? Over time, thin cotton fabric becomes worn out and nearly transparent. This Bayside 7100 NVY Navy Blue Short Sleeve Men's T-Shirt is made with sterner stuff than that. You'll be able to wear this ... (see full details) (see specifications) #BAY7100NVY. Do you have to wear an undershirt with your favorite work shirt? Over time, thin cotton fabric becomes worn out and nearly transparent. This Bayside 7100 NVY Navy Blue Short Sleeve Men's T-Shirt is made with sterner stuff than that. You'll be able to wear this bold, navy blue t-shirt for many machine washings to come. This Bayside shirt is made with 6.1 ounce, cotton material. The more heavyweight cotton is durable against wear and tear. Natural, 100% cotton is soft and breathable. It naturally releases heat to allow cooler air to get inside to your skin. It's also comfortable on your body, soft to the touch and non-irritating. That means wearing this cotton shirt is going to feel something like wearing a cloud. This men's shirt comes to you already pre-shrunk, so it will resist shrinking up in the dryer. That means it'll still fit after you wash it. Thanks to the shoulder-to-shoulder taping, it'll fit pretty well. This special sewing technique keeps the design comfortable and durable. In fact, this USA-Made Shirt is durable down to the very end. The hems are made with double-needle stitching. Two threads, not one, were used to make the hems even more durable than single-needle stitched clothing. A pocket finishes off the design of this Bayside t-shirt to add a little bit of storage space. This Bayside 7100 NVY Navy Blue Short Sleeve Men's Work Shirt stands alone in strength and style. Isn't it time to give your undershirts a break? I found these tee shirts to be well made and comfortable. Good fabric and good construction. At a good price. Good body length, the tails are long enough so they won't pull out of your pants. Be advised, these do run a little small. Simply order 1 size up. And above all else, these are American Made. Isn't that nice? We have been wearing these Bayside shirts for years and are very pleased with the overall construction and material used. It's a heavier cotton than most and is really comfortable, especially after a few washes. Actually, the more you wash it the softer and more comfortable it gets. It fits true to size and won't "ride-up" on you when you bend over. The collar stays firm and won't sag. The entire shop recommends this shirt for work and everyday use. I must express the stain resistance of these shirts. big difference in doing so. XXL are a bit HUGE. These are tube knit type (no seams on the side) that’s where I like the tag to be. But can’t on this style shirt so it tends to itch the neck, no big deal there. This is a high quality cotton shirt with a pocket I purchased for $10.00. At this point no shrinkage or color fading. No fabric distortion after washing and drying. I enjoy finding and purchasing made in America products from your store. Working Persons Store does a great job at finding great products at great prices. Thanks! I have now turned my brother, father and at least one friend on to Bayside tee shirts. Comfortable fit and well made shirt that is great for either work or play. 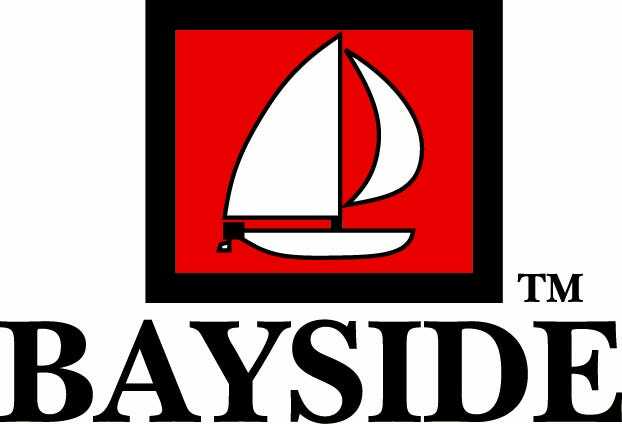 Thank you Bayside for keeping jobs here in the United States of America! Thank you Workingperson.com for keeping them in stock and affordable. Bayside Shirts: Men's 7100 NVY Navy Blue Short Sleeve USA-Made Cotton T-Shirt is being added to your cart.